Holocaust survivor, 83, has belated bar mitzvah to remember perished family. An 83-year-old Holocaust survivor living in northern Israel celebrated at a Tsfat (Safed) synagogue his bar mitzvah ceremony 70 years late. A few dozen friends and family, as well as Tsfat’s police commissioner, accompanied Hanoch Shachar to a local synagogue where many of them sang and danced with him before he had his first aliyah l’Torah (being called up to the Torah). 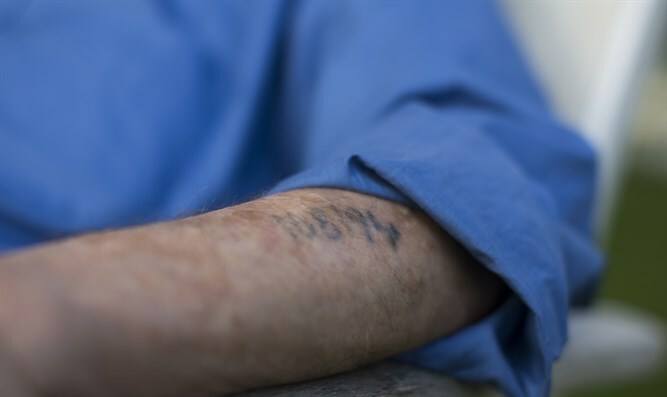 “I saw something was missing in my life, a tree, a branch, real parents,” Shachar, who survived the Theresienstadt concentration camp in what is now the Czech Republic, told the Israel Broadcasting Corporation during the event for a report that was aired Thursday. “Every Jew has a bar mitzvah at theright age, and I never had one,” he said. His entire family perished in the Holocaust. Shachar brought with him to synagogue a violin that belonged to a boy who died in the Holocaust, he said. The dead boy’s parents gave Shachar the violin when he was a boy. “This violin is my way of asking Hashem why he took the talented boy who owned this instrument,” he told the film crew, using the Hebrew word for G-d.